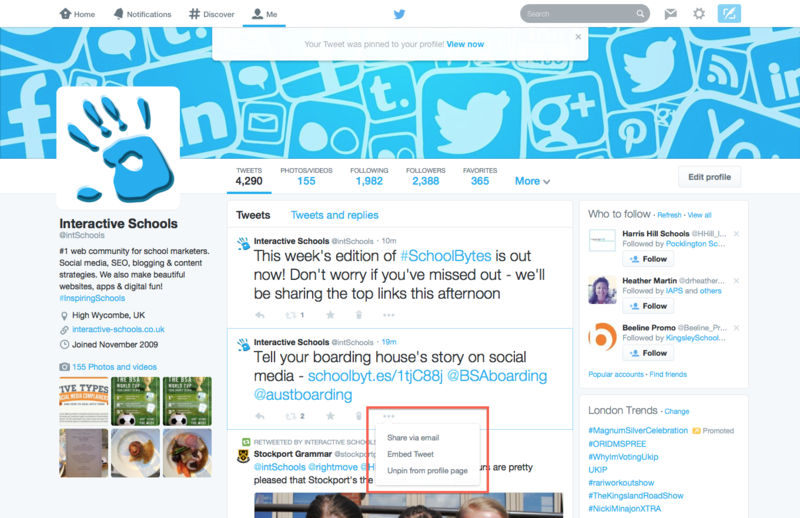 Along with their new design, Twitter have released a hugely beneficial tool to help your school’s marketing. Pinned tweets offer the ability to pin a tweet to the top of your profile. 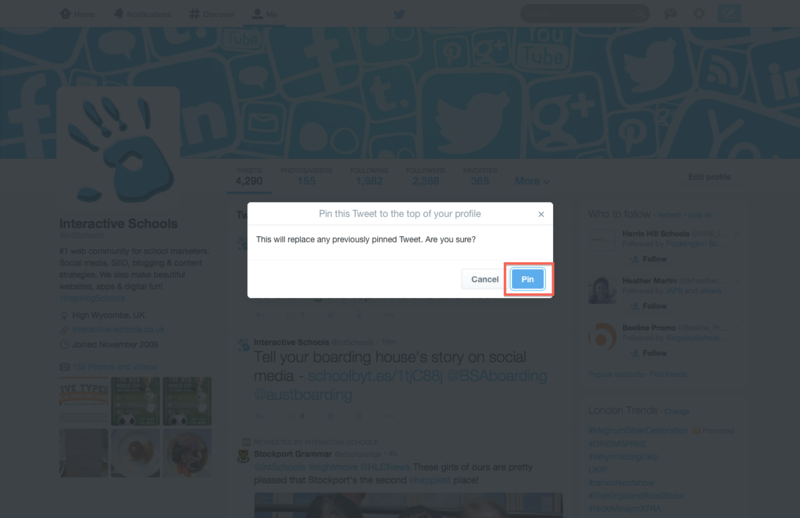 This means that when somebody visits your profile, a ‘marketing tweet’ can the first and most visible. This is important because a lot of people will click onto the Twitter link on your website, which links to your profile page. Previously, this would have brought up all of your most recent tweets. This isn’t the most engaging because, possibly, your three most recent tweets may not have been ‘exciting’. Tweets that receive more engagement appear larger in size. This makes your engaging tweets more visible. Twitter has started to increase the visibility of the different types of media on offer - tweets and photos/videos. This means that you can filter tweets by those that are just copy, and those that contain photos and videos. And with Twitter becoming more and more visual, this is only going to become more important. 1. Select the three dots icon to open up the ‘More’ menu. Has your school introduced pinned tweets? How do you use it? Let us know in the comments, or tweet us @intSchools! Found this blog post useful? Great! It’s just one of the things we will go through when we come and train your school on using social media effectively. Book a social media training session with us.